Farm loan terms are tightening. Read more about this month's findings. Largest industry event wraps up in Des Moines. University of Illinois economist explains what needs to happen stabilize incomes. Find out what's impacting local grain elevators across the country. Find out how lack of forage grasses are affecting cattle prices. Crop scouts inspected fields all over Kansas, Oklahoma, and Nebraska for four days this past week in an effort to formulate an accurate estimation of the size and quality of the coming harvest. Read about an Oregon co-op and their economic impact. A worker rebuilds an engine at the CNH Industrial REMAN plant in Springfield, Missouri. Last year’s $51.8 million in grid premiums for Certified Angus Beef is a new record, but the trend continues strong. The Conservation Technology Information Center is asking producers to participate in the 2016 survey. Available for the first time this growing season, this new product should be a welcome development for corn growers, who are already fighting early weed problems with early season warm temperatures. Several factors are contributing to low prices. Find out more. Several factors contributing to low prices. Find out more. Dr. Anna Taylor, Ruminant Nutritionist with Cargill, joins us in the Roy Rogers studio to talk about animal nutrition. Learn more about the organic egg industry. Northeast Georgia cattle producer Melvin Porter is president of the Georgia Cattlemen's Association. While cattle are going for high prices, Porter says cattlemen invest a lot into their steers and they’ll need a couple of years of good prices. Since 1928, millions of students have been entrusted with the opportunity to wear the esteemed blue jacket. . . .
4-H is asking its alumni to share their stories online during National 4-H Week. National convention showcases top talent. Thousands of FFA students have spent time in Washington D.C. this summer, learning who they are and how they can serve their community. See why producers are pessimistic about the future. A new app helps remove a lot of the guesswork as farmers in rain-soaked areas try to decide whether they need to apply extra nitrogen to their corn crops. Purdue vet explains the importance of health and nutrition. Meet Emerging Leader Blake Schweiner. Colorado school district cuts program after three years. Read more. Learn more about the University of Kentucky's latest research. Community support not enough to off-set budget cuts. Find out more. PA FFA Chapter a Casualty of School Budget Cuts? A $2.2 million deficit for the West Perry school district in Pennsylvania may impact the local FFA chapter. Quarantine at Cal Poly State University offers learning opportunity. See how scientists are working hard to combat drought in California. The agriculture industry has a voice on hand at this week’s National Science Teachers Association conference in Nashville, TN. Univ. of Kentucky student discovers way to sterilize pest. Find out more. Nelson Academy helps another student pursue dreams of a career in agriculture. It takes a lot of work to develop diverse, nationwide educational programs that fuel the National FFA organization. MU Extension Boosts Local Economies. Candidate Webb Says Technology is Key. Across the nation, $7 billion will be sent to farmers enrolled in the Agriculture Risk Coverage (ARC) and Price Loss Coverage (PLC) programs, which is 50% more than what was paid out for the previous year's crops. Read more about this "once in a lifetime" harvest. Organic food production is on the rise. USDA has just released its Feb. 2016 Price report, which contains contains data of keen interest to farmers and ranchers. Bean producers often spend their summer trying to eradicate milkweed from fields, but a new BASF program suggests that encouraging milkweed growth in some areas would actually be a good idea. Industry looks to Secretary of Agriculture for help. For nearly a century, it’s been THE platform to discuss key issues and topics that face the agriculture community for the coming year. Improving the nation’s soil health was the focus of 2014 National Conference on Cover Crops and Soil Health earlier this year. Key topics include the revitalization of AM radio and efforts to expand rural broadband access. Read about the latest Congressional developments on GMO-labeling. Investment now to help cut CO2 by 2025. Find out more. There could be an end in sight to ag labor shortages caused by recent delays in the processing of applications for temporary migrant worker permits. RFD-TV Founder and President Patrick Gottsch gives his take on yesterday’s FCC workshop and what to expect next. RFD-TV Founder and President Patrick Gottsch was one of several industry representatives who participated today in an FCC workshop on competition, diversity and innovation in the video marketplace. Farmers in 17 western states will have to step up their efforts to conserve water in the coming decades, as temperatures rise and droughts and floods become more frequent. Farm Credit opens a time capsule from 1967. Find out more. USDA accepting applications for partnership program. Find out more. 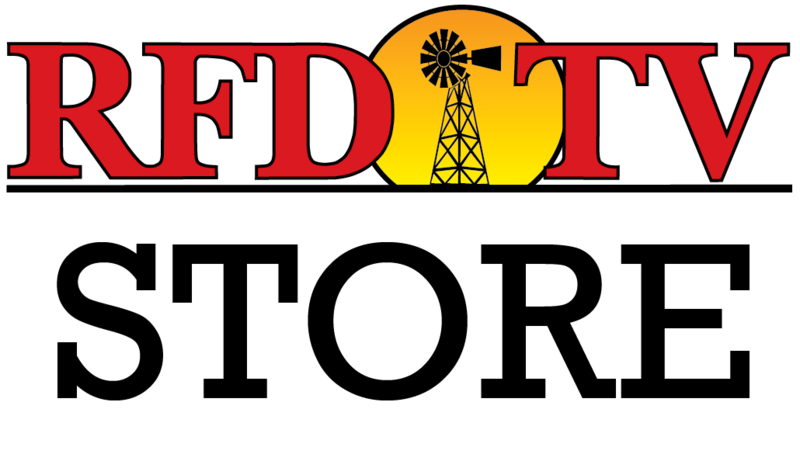 RFD-TV salutes the FFA on National Ag Day. See more. Get the latest information from Washington, D.C. Hearings scheduled to examine if large cable providers are squeezing out independent channels. Sec. of Agriculture covers controversial topic. Secretary of Agriculture, Tom Vilsack, shares his opinion on connecting the city and country again. Secretary of Agriculture, Tom Vilsack, discusses how USDA plans to help develop broadband in rural areas. Head of USDA talks about rural education programs. Sec. Vilsack talks about food security for seniors. Watch as candidate explains the benefits of supporting women. Fiorina says we've become a "nation of rules." Watch more. Fiorina giver her thoughts about environmental protection. Candidate to minimize role of federal government. See more. Candidate talks about transportation challenges. Find out which amendments he supports. Watch presidential hopeful Jim Webb talk about social programs. Says standards "shouldn't be locked in stone." See more. Watch the candidate explain his position. Presidential candidate acknowledges the hard work of American farmers. Watch now. Presidential candidate Bobby Jindal shares his views on the importance of agriculture to the U.S. economy. Gov. Jindal shares his views on Obamacare and healthcare issues facing rural Americans. Presidential candidate clarifies his position on renewable fuels. Find out more. Presidential candidate answers his concerns over the FCC's regulation of the internet. Find out more. Passing the family farm on to future generations can be blocked by tax issues. Gov. Jindal provides his answer to this rural issue. The Senate is expected to consider legislation that could greenlight construction on the controversial Keystone XL Pipeline. Find out more about Markets Editor, John Jenkinson. Working in the ag news industry since ’97, Jenkinson brings more than 20 years of reporting experience to Rural Media Group. Read more on RFD-TV's Janet Adkison. The latest news and resources for the porcine epidemic diarrhea virus, or PEDV. The latest headlines about ethanol.